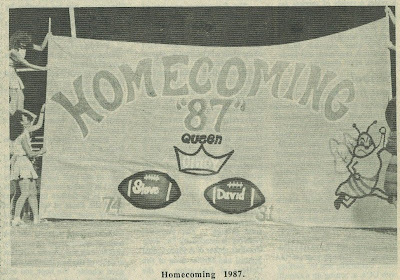 See other SHS Homecoming pictures here. 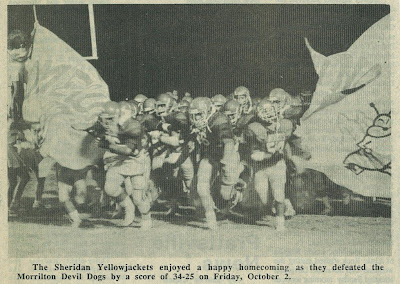 The Sheridan Yellowjackets enjoyed a happy homecoming as they defeated the Morrilton Devil Dogs by a score of 34-25 on Friday, October 2. With 7 minutes and 35 seconds left in the opening quarter, a 37 yard scoring run by Scott Herron was called back because of a clip. On fourth down, Sheridan’s Larry Campbell missed a 36 yard field goal. Just five seconds into the second quarter, Morrilton’s Michael Foster caught a 16 yard touchdown pass from John McKuin. The extra-point was good, leaving the score 7-0. On the following kickoff, Willie Traylor took the ball at the Yellowjacket 19 yard line and raced 81 yards for a touchdown. Larry Campbell kicked the extra-point to tie the score. With 9:35 remaining in the half, McKuin threw a 27 yard scoring strike to Fritz Heidenreich. A two-point conversion attempt failed. The Yellowjackets received a short Morrilton kickoff at the Devil Dog 46 yard line. From there, Sheridan marched down to the 10 where they faced a fourth and goal when an Andy Crouse pass was dropped in the end zone. 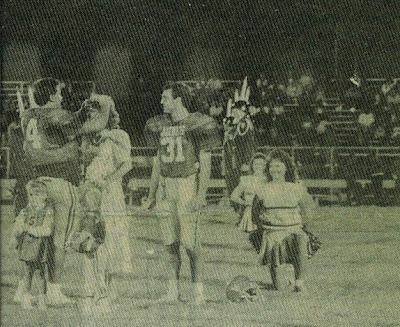 After Sheridan had forced Morrilton to punt, Scott Herron capped off a 60 yard drive as he scampered three yards into the end zone to tie the score. Larry Campbell’s extra-point gave the Yellowjackets a 14-13 lead shortly before halftime. Four minutes into the third quarter, Herron scored his second touchdown of the night after Sheridan went 54 yards down the field. Campbell’s kick made the score 21-13. With 4:04 remaining in the quarter, McKuin and Heidenreich hooked up for another 24 yard touchdown pass. An attempted two-point conversion failed, and the Yellowjackets clung to a 21-19 lead. Early in the fourth quarter, Morrilton scooped up a Sheridan fumble at the Devil Dog 14 yard line and ran untouched 86 yards for a score. The Devil Dogs were again unsuccessful on a two-point conversion but they held a 25-21 lead. On Sheridan’s next possession, the Yellowjackets faced a third and 10 at the 50 yard line when Kevin Martin beat off defenders all the way to the 29. Sheridan turned the ball over on downs at the 21 moments later. Faced with a fourth and seven at their own 24 yard line, Morrilton was prepared to punt. The snap flew over the head of the punter into the end zone. Shawn Plouch recovered the ball for a Yellowjacket touchdown with 5:40 showing on the clock. Sheridan’s attempt at a two-point conversion was stopped short, leaving the score 27-25. Following an interception by Brad LaRue, Gary Brown scored the last touchdown of the evening from 24 yards out. Campbell’s kick made the score 34-25. The Yellowjackets held on to win the game by that same score. Excellent blocking by the offensive line allowed Sheridan to rush for 317 yards. Offensive linemen include: Jamey Black, Brand Moon, Tim Staley, Chris Campbell, and Phillip Clifford. The defensive line kept constant pressure on the Morrilton backs all night, also. Members of the defensive line include: Shawn Plouch, Alan Holmes, Steve Coleman, Dale Hatley, and John Williams. Sheridan finished the game with 329 yards of total offense while holding Morrilton to only 200 yards. Leading ground gainers for the Yellowjackets were: Scott Herron, 19 carries for 112 yards; Gary Brown 12 carries for 82 yards; and David Damron, 21 carries for 77 yards. Sheridan is now 5-0 while Morrilton dropped to 1-4. The Yellowjackets’ next game will be at home against Lake Hamilton on Friday, October 9 at 7:30. 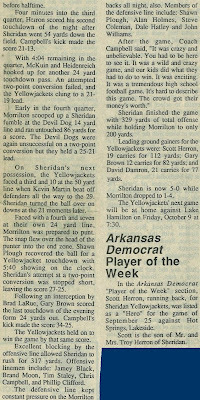 In the Arkansas Democrat "Player of the Week" section, Scott Herron, running back, for Sheridan Yellowjackets, was listed as a "hero" of the game for September 25 against Hot Springs, Lakeside. 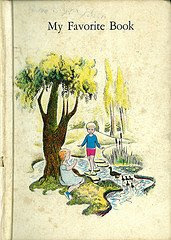 Scott is the son of Mr. and Mrs. Troy Herron of Sheridan.